A recent studio update inspired me to look through my archive of field and studio sketches, and I’ve decided to make a selection of them available for purchase. Each piece is one-of-a-kind and the collection spans many years of work, both in the studio and out in the wild. Starting today, and through the month of April, I’ll be posting one piece daily to my new Spring Studio Sale shop. Be sure to follow me on Instagram to be the first to see pieces as they are available. I’m launching the shop with a 5″ x 5″ watercolor sketch of Liberty Bell mountain I completed in 2010. 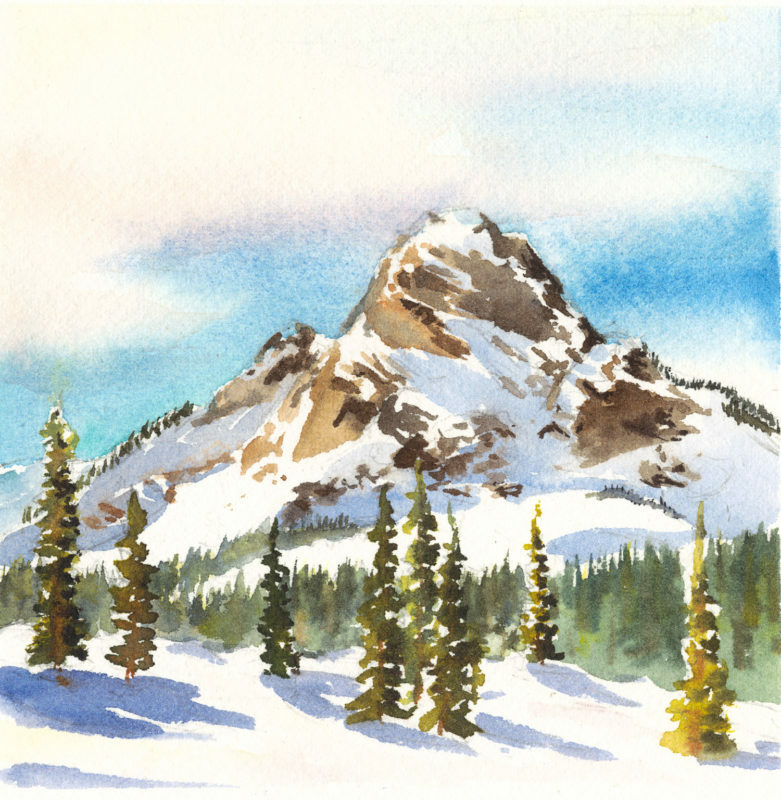 It was a study for a larger 15″ x 15″ watercolor that was on the front cover of the 2010 Methow Valley News Winter Guide. I’ve always loved this little painting and will be happy to send it to a good home!